Do you live in the city but want to homestead? Michelle Catherine Nelson’s book, The Urban Homesteading Cookbook, will give you all the information you need to start collecting, growing, and preserving sustainable food while living in a small urban abode. With a background in farming, conservation biology, sustainable agriculture, and a love of fine food Nelson explores the possibilities of foraging for wild edibles, keeping small livestock, growing vegetables, and cooking and preserving her harvest. The section on foraging includes information on where to look for edibles, plants to avoid, and an extensive list of plants that can be found in urban environments with a description of the plant, the edible parts, the harvest times, and suggestion for cooking and eating. Recipes includeroasted Japanese knotweed pannacotta, stinging nettle pesto, brown butter fiddleheads with caramelized cattail shoots. The last third of this section deals with seafood edibles so has a limited use for most urban readers. The section on raising livestock is perhaps the most surprising. Nelson describes how to keep rabbits, quail, freshwater fish and crustaceans, bees and other insects such as mealworms and crickets. Recipes included are rabbit pate with oyster mushrooms, quail stuffed three ways, and chocolate cupcakes made with cricket flour. Nelson also includes the suggestion of getting dinner guests involved in the cleaning and plucking of the quail. Throughout the section she includes directions for slaughtering and butchering the animals, punctuated by photographs of her with the animals she will ultimately eat. When considering the possibility of growing food, Nelson lists the areas in an urban environment where edible plants may be grown and suggests specific plants. 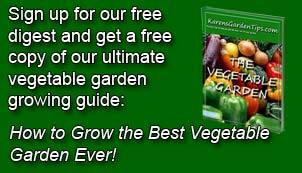 She includes microgreens, sprouts, and mushrooms, as well as seventeen different edible pond plants, and nine forest food plants all of which be grown in an urban environment according to Nelson. Recipes include creamy braised purple loosestrife and mushroom risotto, smoked chili water lotus and taro root chips with lemony herb dip, and fig and fennel clafoutis. The final section of the book deals with preserving and fermenting. It includes directions for canning deer, beer making, and cheese production as well as recipes for seaweed kimchi, pink kohlrabi cabbage sauerkraut, and California Drooling Cat sessional IPA. If you wants something sweet try seasonal fruit leather or the the plum honey bourbon and kefir pops. Nelson devotion to sustainable foods environmental quality permeates every page of the book and is laudable. Her suggestions for urban homesteading are very optimistic and perhaps better for life in the suburbs at the very least. There are many great ideas and a lot to be learned from the book but carrying them out in a one bed-room apartment in an urban environment as Nelson claims she has done, seems unrealistic in terms of space requirements as well as cost in time and money. 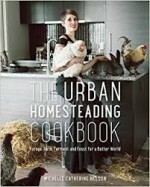 To buy The Urban Homsteading Cookbook from Amazon.com Click Here.